Please can you introduce yourself and give a brief overview of your career? 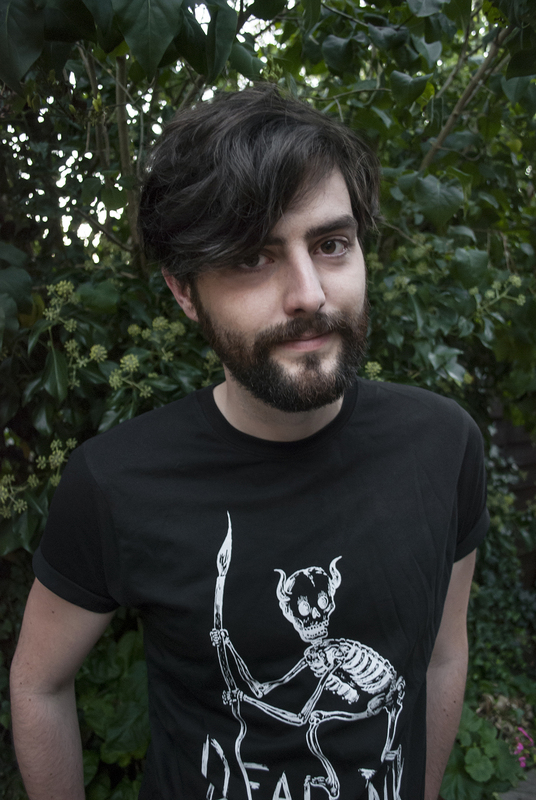 My name is Richard Carman, and I am International Rights Manager at Fourth Wall Publishing. I started in the book trade aged about 6, when I started sticking labels into the fronts of my Enid Blyton books and lending them to my friends as a library. I had my own duodecimal system of numbering. No-one was interested! I dropped out of a Master’s degree and got a job in WH Willshaw booksellers in Manchester, and from there joined David & Charles as a rep. I was headhunted by Hodder to join them in the same role, and went on to my first managerial role, aged 31, at Omnibus Press. From there I was UK Sales Manager for Penguin, then South Africa Sales Manager for Dorling Kindersley, which let to five very happy years as Head of Export. Made redundant when DK went bust, I was a freelance for nearly ten years in Africa working for people like Orion, Walker Books, Kingfisher and Kogan Page, and I joined Award Publications in 2010. I joined Fourth Wall in March of this year. Can you tell us a little bit more about Fourth Wall Books? How did it come about? Fourth Wall Publishing was originally conceived a few years ago, but the owners’ background led them to found a very successful branding and marketing agency first. We work with some very well-known high street brands as well as a lot of the Premier League football clubs. Fourth Wall Publishing was launched at London Book Fair 2015, and the first ten titles published in the autumn of that year. Our pace picked up this spring, and we’ll be publishing around 50 books a year. What is the most challenging part of your role as International Rights Manager? A lot of the companies I worked with in the past publish different kinds of books to those that we specialise in, so finding new customers and establishing relationships with them from scratch is probably the most challenging element. I like people, I like being in a busy team and in a creative environment. Because the majority of my colleagues are designers, it’s good to be involved in every book from day one of its creation, and to be able to look up from my desk and see books being developed just across the room. And I love book fairs (anyone in publishing who tells you they don’t are liars), and travelling. What trends are you currently seeing in the children’s book market? YA fiction continues to be a big pull I think, but really good, contemporary, international-feel illustrations seem to be increasing in popularity. There’ll always be the pull of Disney and big-branded products, but underneath that it’s a healthy market too I think. What upcoming Fourth Wall books are you most excited about? My favourite of the next batch is “When The Sky Was Too Low” by Adam Bestwick, which is based on an old Native American myth. In ancient times, the sky was very close to the ground. Adults couldn’t walk upright, elephants were as big as dogs, and giraffe’s necks pointed sideways, not upwards. The children can’t fly their kites or kick their footballs high, so they get together and – after some false starts – find they can push the sky up high if they join up all their sticks and push together. When night comes they see the stars for the first time, because the light shines through the holes they made with their sticks. It’s a beautiful story about kids being able to solve problems that adults can’t, and about working together being the best way to work. How do you go about marketing yourself as a brand new book publisher? With a lot of hard work. Networking, visiting customers, social media, distinctive and memorable stands at book fairs, joining in everything we can really – getting our name seen and included. One has to be realistic and realise Rome wasn’t built in a day. But by the time it was finished, Rome was a beautiful place and people are still going there. So I want us to be a beautiful, successful publisher to whom people are still coming many years in the future. You are based up in the North of England – how do you feel this will both benefit you and hinder you? You can get a decent coffee anywhere in Cheshire now, so that’s the first thing. I think companies based outside of London obviously benefit from being immune to the costs of being in the South East. There’s a whole wealth of untapped talent in the North West, and we have access to fabulous illustrators and designers, writers, and people looking to work in marketing and production are welcome to contact us too. There are lots of people not based in London who want to work in “proper” book publishing. We can’t give a job to everyone, but we’re not short of options. We can be in London in a couple of hours maximum if we need to be. If you work in Hammersmith and live in Brockley, that’s going to take you the best part of an hour. I can’t actually think of any downsides! I’m so pleased that my first interview back after an incredibly hectic few months away from blogging is with Evan Jones of Stitch Media, discussing the new and exciting product Together Tales. This is a really interesting new project and Evan explains how it came about it in this fascinating interview. Welcome, Evan! My name is Evan Jones and I’ve spent my life interested how new technology changes the way we tell stories to each other. Early in my career I became obsessed with Alternate Reality Games. ARGs are a style of narrative that really couldn’t exist before the internet, because they rely on the audience as investigators who connect different types of media together to make a complete story. They’re also intensely interactive and the best ones consider the audience as collaborators – their theories and solutions inspire the creative team working behind the scenes. I’ve had the good fortune to collaborate with incredibly talented people on projects across every genre. We’ve worked in comedy, drama, documentary, horror, science fiction, children’s, lifestyle – but always with an interactive point of view. Stitch Media is the company that you call when you want to push the boundaries. I’m always working hard to stay ahead of the curve on new technology but more importantly the media trends that are shifting around us. Together Tales – what’s the premise? Together Tales are Adventure Kits that combine physical books and artifacts with interactive challenges. Parents bring these stories to life as an insider working with the author to plant clues and create coincidences. For kids aged 8-10 reading the adventures, it’s like the whole story surrounds you. You are a character in the books and your actions end up saving the day. We’ve had a lot of feedback that this product is perfect for ‘reluctant readers’ because it’s broken into short chapters that connect with activities both offline and online. For parents, it’s like having a creative sidekick for those moments where you want to want to play along with your kids but don’t always have the time or energy to make it up. Adventure Kits give you all the tools you need and simple instructions via email to prompt you at the perfect moment. You’re playing alongside your kids with a cheat sheet from the author. What made you, as a media and TV professional, look at the idea of interactive books? How did the idea and the concept of Together Tales come about? We loved reading books of course – books are imagination fireworks where you can do anything at all. We also loved simple games like scavenger hunts and puzzles. But the secret ingredient is the name of our product – it was those moments we spent together. Together Tales is a platform to combine all of these things. We rely upon an ‘insider’ who truly knows the reader. We use the shorthand of parents but it could easily be grandparents or that cool uncle or an amazing teacher. The point is that our adventures come to life in through others – they are the ones who personalize a letter online, print it out and tuck it under the child’s pillow because they received an automated email yesterday explaining that the Magician will be answering their dream questions tomorrow. It’s a system to make more of those memorable moments by connecting them together with a story. What kind of success have you enjoyed so far? Our first success was convincing a jury to give us the CMF Experimental Fund – it allowed us to build the technology and test the concept until we got it right. The one thing we needed after that was the money to pay for our first print run. We created four Adventure Kits in our first year and launched the concept on Kickstarter – that was really when Together Tales took off. We’ve shipped hundreds of kits out to families now and the response has been incredible. The five-star reviews on Amazon have really inspired us – parents talk about how excited their kids get about reading the stories and their adventures. It’s also been a huge boost for us to be recognized by our industry. We were nominated for the BookTech prize in the UK this year and for the Canadian Screen Award for Best Original Interactive Project. These endorsements help a great deal in promoting sales. Anything that has been particularly challenging? Why do you think there’s a market for this kind of publishing? Publishing is not going away. Yes it’s changing but all of the media industries shift when a new paradigm appears. We know this is a crowded market but we feel that Together Tales is something truly new and will strike a chord with the right type of customer. Together Tales is also built to empower authors to write their own Adventure Kits. Our platform expands with every new book as we build a library of games and technology which are reused in subsequent stories. They’re also not tied to a particular platform. We’re not thinking about the issues of paper vs tablets because we use them all in the way they were intended. Media consumption habits for us aren’t an either/or proposition, they’re all potential for us. Have you found that you have been able to reach out easily to children who may not be particularly enthusiastic about reading? Together Tales is very accessible because the story is portioned out. The child never sees a huge book because the story is divided into chapters and interactive moments. The first chapter looks like a comic book, but once you’ve read it you’re hooked. The characters need your help and a game begins. It’s not hard to convince kids to play games but when the game is over you want to see how it affected the story. That’s when the second chapter magically appears (thanks parents!) and the cycle continues. What has been your best feedback so far? It’s when we bump into a kindred spirit. Some of our feedback from parents was “I’m too busy to spend 15 minutes setting this up.” That’s when we realized that it’s all about perspective. Fifteen minutes is a lot when you’re comparing it to passing an iPad into the back seat. But for some parents, they are already spending 2 hours sewing a tail on an old pair of shorts, or researching crafts for their kids on a rainy weekend. For those parents, we get the opposite reaction – fifteen minutes to look like a hero. They’re in. The agenda has been set by our commitment to bring a Year of Adventures to our customers. We’re publishing three more Adventure Kits this year and I’m taking them to the Bologna Children’s Book Fair to find some international exposure. We’re going to be selling them at the Toronto Word on the Street Festival and looking for many more ways to reach families. You can find out more about Stitch Media and Together Tales by clicking the hyperlinks in the introduction to this interview. 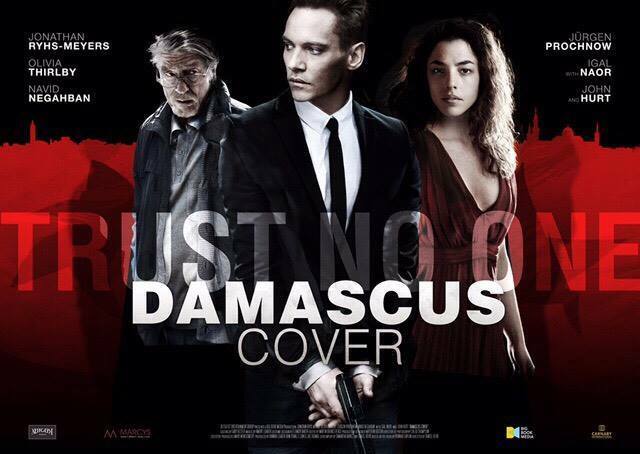 I am very excited and privileged to host an interview with Howard Kaplan, author of The Damascus Cover, a novel which has been adapted into a film starring Jonathan Rhys Meyers and John Hurt! 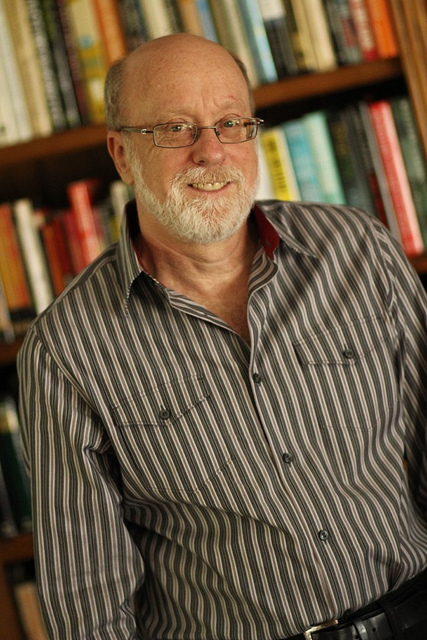 Here he discusses his experiences writing a novel, what research such a novel requires, and the processes behind transforming his story from the page to the big screen. Please can you introduce yourself and give us a brief overview of your career? I’m the author of four novels, three published and one to be released around the time The Damascus Cover film will be in theaters in early 2016. I was born and live in Los Angeles always seem to return here as a home base but travel greatly. In my 20’s I lived in London for a time and had close friends in the East End. I learned a lot from them and used them as prototypes in my novels. My Gants Hill friend used to battle the National Front blokes, or geysers as he would say; he was a gentle soul, a lay veterinarian who loved animals and standing across from you with lightning speed could buck you flat with his forehead. Tell us more about The Damascus Cover. How did the book come about? The book is fast-paced, with more twists and turns than Monte Carlo. 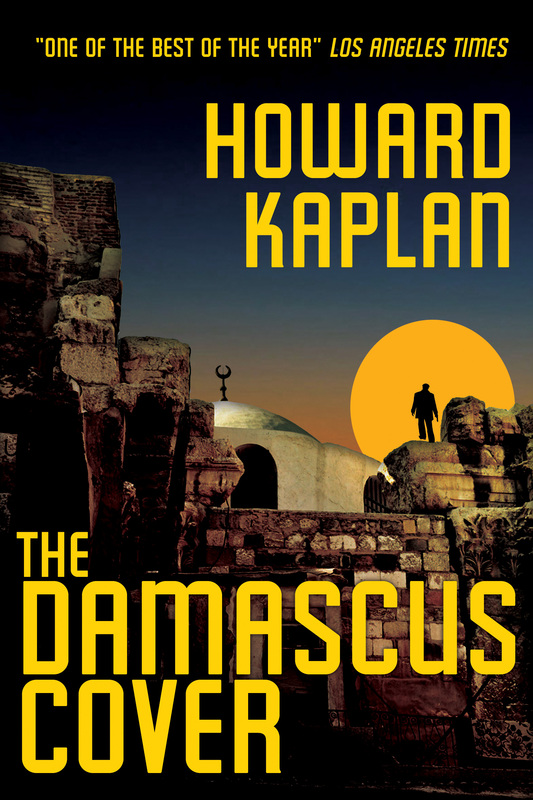 At times I could hear the muezzin, taste the olives, so beautifully does Kaplan describe the Damascene backdrop.” The book was written long before the Syrian Civil War so what’s happened is it’s became an artifact as to what Damascus was like before the destruction. How was the novel picked up for a film adaptation? Sometimes you just get lucky. The director was looking for a Middle East book to adapt and it turns out we have a mutual friend. She gave him The Damascus Cover, he read it and we met for coffee. No agents. The project began to take off when he brought on the producer of Gosford Park, so this is a British production so not a great coincidence that we have Jonathan Rhys Meyers as the lead and Sir John Hurt as the head of the Israeli Secret Service who is the puppet master of the novel and film. The novel is in its heart a book about reconciliation, in this case between Israel and the Arab countries, so the topicality seems perennial. How much input do you have in the film adaptation? I saw an early draft of the script and made some small suggestions all of which they liked and took. Unexpectedly, I’ve had greater input in post production. I’ve seen several edits and made a number of suggestions, mostly cuts to streamline the plot. A sesasoned novelist knows that no matter how good a scene is, if it doesn’t advance the story and character, it needs to go. They were extraordinarily grateful for my notes and actually used them all. I have a close friend who is the estate attorney for Michael Jackson and a large number of Hollywood people, including many writers. He tells me the novelist never gets such input but I was in Casablanca for a week during shooting in March of 2015, and I’ve kept close relations with the film team, though all the post production work is being done in London. I see the director every time he’s in Los Angeles and as I’m writing this he’ll be here later this week. How did you go about researching for the book? What is it about this genre that calls to you more than others? I spent some time in Damascus as I mentioned. I then read everything written about the city. And God bless the British travel writers, they’ve been everywhere and written about it. I had a large map of Damascus up on my wall to plot the action. My favorite writer is John Le Carre and I’ve always loved the opportunity to write a great suspenseful story, with deep characters and a political message. Nobody anywhere does it better than LeCarre so I think I was drawn to the genre, the chance to write serious suspense, through reading his books, and I’ve read them all, which isn’t always easy as some are verbose. Do you find that the book is gaining traction due to its topicality? The book and I, to my great pleasure and amusement, are suddenly getting a lot of attention. I think the topicality is two fold, one, that it is really about the need for the Middle East countries to get along which has never been more apparent than it is now. And secondly, the obvious, Damascus is now on everybody’s radar. It doesn’t happen often in life, but I seem to be in the right place at the right time. What was particularly challenging about writing this book, and how did you handle this? The Damascus Cover was my first novel and the real challenge was believing in myself, that I could write a book. I had a father who told me in general how wonderful I was, and in specific what a loser, you’ll never amount to anything slacker I was. He had a great facility to make money but none to see himself. So I was more the kind of person who thought, I don’t think I can do that, but I SHOULD try. The good news is that I generally after a period of great sloth push myself and indeed I did. Once I get going I’m like a locomotive and I just barrel forward. What excites you most about the upcoming film? The cast has been mind blowing. Jonathan Rhys Meyers is beyond a fabulous actor. He gives his all to every scene and I was on set for a week of 10 hour a day shoots. His cover is a German businessman, Hans Hoffman, and hair dyed blonde he does the entire film in a German accent. They brought in a language coach from Berlin and the two of them were zealous that none of his Irish brogue bled into his German. The German actor, Jurgen Prochnow (Das Boot, the DaVinci Code) told me at breakfast in the hotel that the accent is flawless. Olivia Thirlby, best known as the sidekick in Juno, is a delight. She’s young and where Jonny, as he likes to be called, hits his lines perfectly each time she experimented with different takes until she found her spot. It was exhilarating. There are some great scenes too with her and Navid Negahban (Abu Nazir in Homeland). Navid was at my house for a barbecue last month and we talked about how great Olivia is. John Hurt was not on set in the week I was there so I missed meeting him. What has been your favourite review for the book so far? What do you think of the current schemes going on right now, where authors/readers/libraries/publishers are providing books for Syrian refugees? How important is it that the book industry supports those in need due to war and terrorism? I think this is fabulous and important but alas in the cold hard world, money talks. A British Young Adults writer, who happens to be on my twitter feed, Patrick Ness, offered 10,000 pounds this past weekend for refugee help and tweeted to writers to help. By the end of the weekend he’d raised 400,000 pounds. It was vastly impressive and moving. Do you have any advice, as a successful author, for up-and-coming writers? Don’t be afraid to take risks. There’s no way to know if a scene or an idea works until you actually write it and see. I think it’s vital to know the end before you begin, where you’re going so that all roads have a destination and none are side trips, albeit brilliant ones. What new work do you have coming up? The Jerusalem Spy Series initially will be comprised of 3 novels that share a common theme: reconciliation and hope. Between Israel and the Arab countries in The Damascus Cover and between Israelis and Palestinians in Bullets of Palestine and the forthcoming To Destroy Jerusalem. Bullets is about an Israeli agent and Palestinian agent challenged to work together to hunt down and kill an extremist Arab terrorist, Abu Nidal, who is killing both Jews across Europe and moderate Palestinians. It’s the most historical of all my novels and is set often at real events, for example the massacres of women, children and old men in the Palestinian refugee camps of Sabra and Shatilla in Lebanon by the Christian Phalange party. To Destroy Jerusalem will tackle the nuclear terrorism threat. I’m finishing now and expect to bring out in early 2016. Today’s People in Publishing interview is with the very successful and impressive Karen Brodie, Head of Publisher Relations at The Reading Agency. I am such an admirer of the work that they do at The Reading Agency, and I’m very jealous of Karen for playing such a huge role in it! She’s worked extremely hard for what she’s achieved, and has been recognised for this hard work as a BookSeller Rising Star. Below, she discusses her work and her career journey in publishing. Please introduce yourself and give an overview of your career so far. I’m Head of Publisher Relations at The Reading Agency. I started in publishing in Edinburgh and then worked at HarperCollins and Penguin in the rights departments. I expanded my international experience at the British Council, working on literature projects overseas to strengthen cultural relations for the UK, including the first literature festival in Kurdish Iraq, a language-learning radio programme where I interviewed authors for broadcast across Africa and an Arabic-English translation conference. 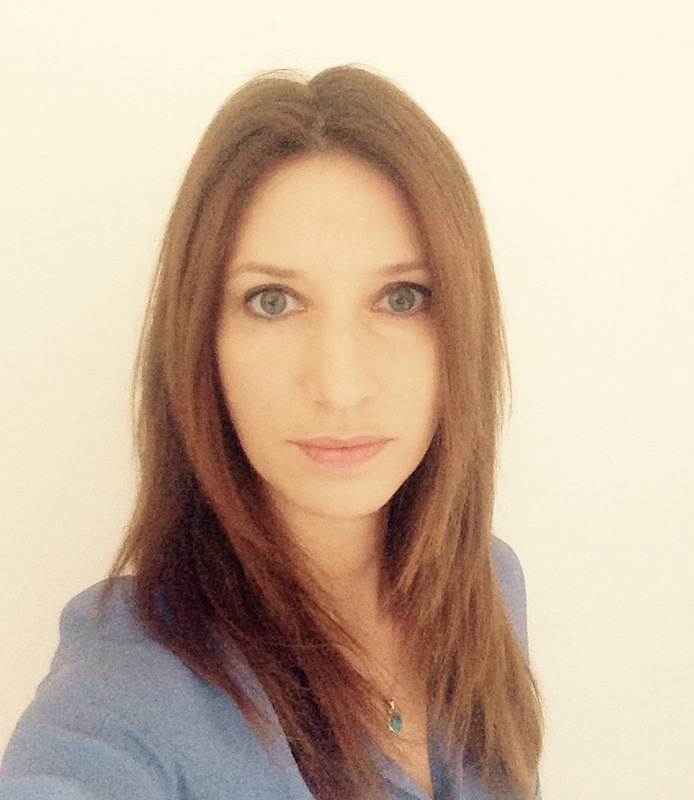 I moved to Istanbul to manage the Turkish partnerships and programme for Turkey Market Focus at The London Book Fair and stayed a second year in Turkey as Head of Arts, extending my arts experience to work on film, fashion, visual arts, music and digital projects. I returned to London with the Iran team to develop the British Council’s UK-Iran programme. Nine months ago I took the job at The Reading Agency. I’ve been extremely fortunate to have had such interesting experiences and have met lots of inspiring people. How did you come to work for The Reading Agency? 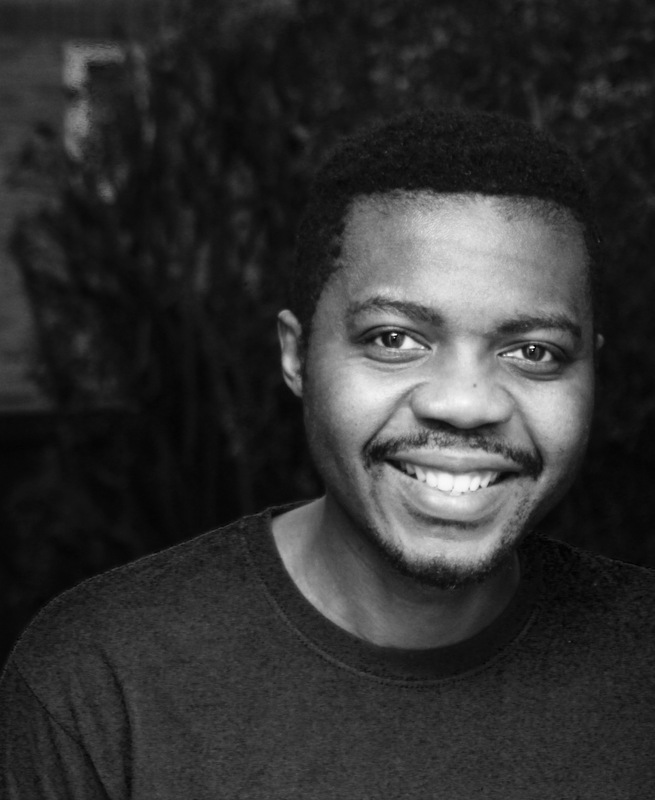 After returning to the UK, I was keen to reconnect with publishing. The role at The Reading Agency was a unique opportunity to bring together my literature background in both the private and public sectors. It was a challenging interview with stiff competition and I was so pleased to be offered the job. Can you explain a little bit about your role and your responsibilities at The Reading Agency? The Reading Agency is a national charity which specialises in inspiring more people to read more and encouraging them to share their enjoyment of reading with others. There’s a strong body of research to show that reading for pleasure improves wellbeing and empathy, and develops skills to support people throughout their lives. As Head of Publisher Relations I work with an excellent team developing and managing relationships with publishers and the wider industry to help us deliver The Reading Agency’s programmes for adults, young people and children. We work with a huge variety of partners in the publishing industry and it’s my responsibility to identify and agree mutually beneficial partnerships across our programmes. The Reading Agency has a unique relationship with public libraries and I work to build and strengthen relationships between publishers and public libraries to reach more readers and find creative ways to promote authors. It’s a hugely varied role which includes managing commercial relationships and CSR relationships with publishers, developing our reading groups network, and contributing to the Radio 2 book club selection panels. How did it feel, after all of your hard work, to be named a BookSeller Rising Star? It was hugely encouraging and rewarding to be recognised by the industry for the contribution I’ve made to The Reading Agency in such a short time. And there’s still so much I’d like to do. What would you say is the most rewarding about your job? What makes you feel like you’ve really made a big impact? I really enjoy finding ways to reach non-traditional audiences. I’m always excited about working with diverse partners and creating unique opportunities to reach new readers. It’s fantastic to get feedback from librarians, publishers or readers when a promotion has made a real impact. Equally, what is the most challenging and why? It can be a challenge to balance the needs and priorities of publishers, libraries and reading groups who operate in very different contexts. My role is to help our partners understand each other and facilitate meaningful collaborations. Although not all partnerships are straightforward, we all want to get more people reading and it’s this shared agenda that always prevails. Once we get people reading we want to keep them reading and empower them to choose their own books, share their ideas and inspire others to read. In what ways do libraries and publishers innately differ in terms of how they operate and how do you work to bridge that gap between the two? What would you say is the key to successful partnerships? Although publishers largely have a commercial focus and libraries a cultural one, the two approaches are not mutually exclusive and both partners complement each other’s strengths. Both bring creativity, expertise and resources to every project. At The Reading Agency, we provide several opportunities throughout the year for our library and publisher partners to meet, exchange information, share ideas and plan promotions. The most successful partnerships develop when both partners are clear about what they want to achieve from the project, and are communicative and committed. What would you say are some of the key ways in which you and your company help attract people to reading? We work with public libraries, schools, colleges, workplace and prisons across the country to take reading into different places and help people find a way into reading for pleasure. Once we get people reading we want to keep them reading and empower them to choose their own books, share their ideas and inspire others to read. We work with publishers to design and deliver fun, imaginative activities which encourage people to engage with books in new ways, discover new authors and genres, and make reading social so it becomes something shared with friends and family. Through our programmes we create promotions and events in the heart of communities and encourage volunteers to act as reading ambassadors, sharing their passion with others. How can we, as people working in the book industry, help attract a wider audience? As always, please leave questions and comments in the box below and we will get them answered for you! 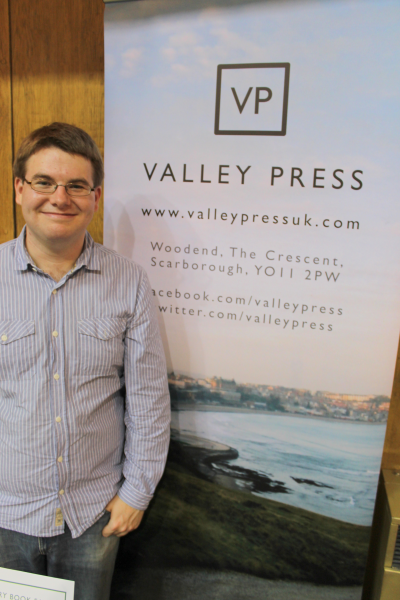 Today’s interview is with Jamie McGarry, founder and publisher for Valley Press. I undertook a work experience placement at Valley Press when I was working on my CV ready to begin a career in Publishing, and Jamie very kindly allowed me to take part in a variety of projects and tasks while I was there. For those interested, I wrote a blog post for Valley Press about it here. I have now started working alongside Jamie for the Society of Young Publishers North and Midlands branch and Valley Press are continuing to publish some exciting work! Tell us the story of how Valley Press came about. The short version: after an unsuccessful attempt to become a Primary School teacher, I fell into an English Literature degree, and then realised this was not a subject that was going to make me highly employable. I had been making books of various kinds since the age of 6, so decided to start doing that a bit more purposefully, to enhance my CV – using the name Valley Press, as I lived on Valley Road at that time. It was the summer of 2008. You are primarily a publisher of poetry. Have you always had a passion for poetry? I had always enjoyed poetry whilst growing up – but very casually, alongside novels, films, music and all the other great things life has to offer. It wasn’t until I started reading serious contemporary poets – writing from the 1960s up to the present day – that I realised this was the medium for me, probably the one thing I was going to pursue during my life. That was around the age of 18. Do you find much time now for your own personal creative writing? Absolutely not – I haven’t written a word creatively since I started running Valley Press as a full-time job, in early 2011. The timing is too exact to be a coincidence. I think it’s probably the case that whatever muscle I was using to write, is the same one that powers me as a publisher, and there’s only so much it can give! Plus, there are only so many hours in the day – the process of starting a new company is all-consuming, whatever the field. What was the first thing you published as a new press? It was a novel I had written myself, whilst dog-sitting during the summer of 2007 – titled The Waiting Game. I only printed 38 copies, it was a very tentative start! I haven’t looked at it since, it could be awful. There’s a copy in Scarborough’s public library if anyone wants to take it out and have a read. Let me know what you think. What is Valley Press’ biggest success to date? Well, it depends what kind of success you’re looking for – I love it when an ex-intern writes to me saying they’ve got a great publishing job, for a start! But I reckon you are talking in terms of cold hard sales figures, in which case James Nash’s Some Things Matter: 63 Sonnets is still top of the chart. There’s something really special about that book… I’ve yet to publish something that can catch up with it. What would you say you enjoy most about being a publisher? What is the most exciting aspect of the job? I can’t name a particular ‘aspect’ as such, but the most exciting moment is probably when a golden bit of publicity appears – something like a big mention for a Valley Press title in the Guardian’s books pages, or on the radio. Usually the first I hear about this sort of thing is when I notice a sudden spike in the sales of a book; it might have sold one copy every few days for the previous month, then suddenly thirty in one day, and I think: ‘hang on, something has happened!’ Then a bit of detective work is needed to track down the cause. What is the biggest challenge you have to face as an independent publishing company? A good way to answer this would be to reverse the question: what’s the biggest advantage to being part of a huge publishing conglomerate? The answer there is having resources at your disposal – a virtually endless supply of experience, expertise, and cash. Managing with limited resources is the challenge for independents. How has the business grown since I undertook my work placement at Valley Press? It has grown naturally in terms of sales figures and income, but more than anything things are a lot calmer now, and better organised. When you were here (in autumn 2012) I had only 20 months professional experience in the industry, and was attempting to publish 16 books that year… it was a hair-raising time! From a publisher’s point of view, why is it good to have students do work experience with you? In terms of the unpaid internship debates that are raging at the moment, which side of the argument do you agree with? The fact that unpaid work experience is ‘exploitation’, or that they’re necessary to break into the industry? Unpaid internships were pretty much the only route into the publishing industry. Is that a good thing? I don’t think so. During the brief period I was trying to get in, back in 2010, I couldn’t afford to do unpaid internships; I was living on the last dregs of my student loan, and there wasn’t a serious publishing operation within 50 miles of where I was based. I spent six months solidly applying for jobs, with a CV that described my skills and experience as they are now (i.e. pushing the truth as it was then to its limits! ), and I didn’t even get one interview for a publishing position. I wouldn’t get one today, I suspect, and it’s probably down to my lack of internships. When I started Valley Press, one of my dreams was that I could use it to help local people who were in that same position… and that has come true, to an extent. I think there’s a half-dozen people out there who got a publishing job shortly after being one of my interns, and plenty more who found decent, creative employment. That makes me feel quite proud. How important is it for you to keep the North ‘on the publishing map’ so to speak? Do you think the North is slowly making its voice heard in the industry, or are we still under-represented? I hope it’s not solely down to me to keep the North on the map! This is an easy question actually: I think you’re right that Northern writers and publishers are making progress, but yes, we certainly are under-represented. I have a Penguin paperback in my house published in the late 1960s, and in the author’s biography at the start it says they were ‘born in the North’. That was enough specificity at the time! Things have come a long way since then, but there’s still plenty of work to be done. For those who may be considering starting up a company like your own, what advice would you give them, now that you’ve done it successfully? What in your opinion are the dos and don’ts? I think the most important thing is to start small – dip your toe in the water, like I did between 2008 and 2010, before getting too ambitious. Always schedule fewer books than you think you can publish, because there will inevitably be unexpected events to throw you off course. Also, advice for anyone thinking of doing some publishing – don’t settle for a less than perfect product. Don’t compromise, and don’t stop working on a book until it looks as good as one published by the big London companies. I could go on and on… I could write my own book on what I’ve learnt over the last seven years. Perhaps I will? What are you most looking forward to in the rest of 2015? The next book in the pipeline always seems like the best thing I’ve ever done – but there is a short non-fiction book due out in September that has been having a huge effect on early readers. It’s very different to anything I’ve touched on before, so keep a eye out for that. I’m also working for the second time with a variety of veteran Valley Press authors over the next few months, which is an absolute pleasure, and there’s a very special collection coming in November edited by Antony Dunn. These upcoming titles are simply unmissable, if you ask me – but I suppose I would say that! Please post questions or comments below and I’ll get back to you!